Written on February 15th, 2016 October 24th, 2016 . Between September 2015 and January 2016, our colleague from the AGRARIA Department of the University of Reggio Calabria (Italy), Dr. Eng. Demetrio Zema stayed at our group to work in the project Characterization and modeling of the hydrological response of semi-arid watersheds in southern Spain: integrating geomorphological and hydrological responses” supported by the Seneca Foundation (Research Agency of the Region of Murcia) with a senior visiting scientist fellowship. 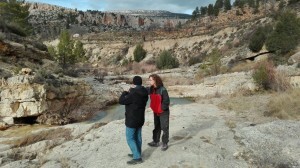 He has been working on the hydrological modelling of the Upper Taibilla and Rogativa watersheds together with members of our group (Carolina Boix-Fayos and Joris de Vente). The cooperation between the Italian AGRARIA and the Spanish CEBAS group started in 2012, sharing experiences in the study of the hydrological and geomorphological response of Mediterranean watersheds, under different climatic, land use and management conditions. 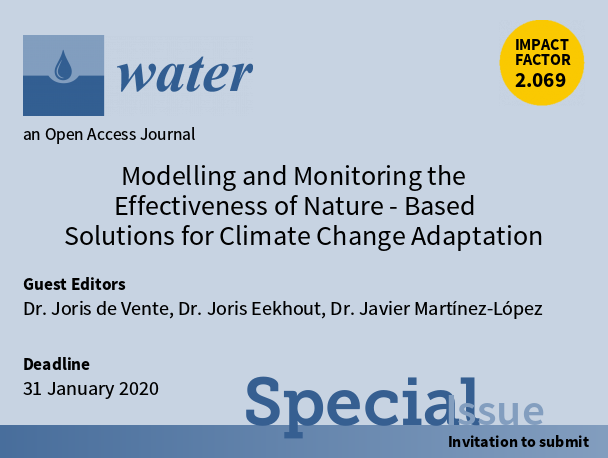 This collaboration already resulted in joint publications in the Journal of Soil and Water Conservation and Ecohydrology. In the framework of this cooperation, and supported by an Erasmus+ fellowship, Maria Francesca Cataldo, an MSc student in forestry, also stayed at our group during the same period to undertake her MSc thesis entitled: “Analytical characterization and modelling of the hydrological response of semi-arid watersheds in southern Spain”. Francesca demonstrated to be a very efficient and promising student and the colaboration with Demetrio and Francesca has been very productive and satisfactory. 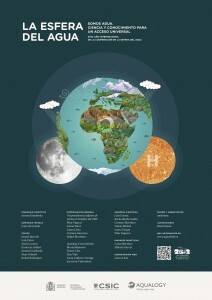 Francesca will defend her Master thesis next 10th of March in Italy. Written on February 12th, 2016 October 24th, 2016 . La exposición “La esfera del Agua” del CSIC ha estado presente en la Semana de la Ciencia en el colegio franciscano de “La Inmaculada” de Cartagena. Como apoyo a la exposición hubo varias charlas dos de ellas ofrecidas por investigadores del CSIC, entre ellos Carolina Boix Fayos del grupo de Erosión y Conservación de Suelos y Aguas del CEBAS. Aqui puedes ver la noticia completa en el blog del cebas y los enlaces a las conferencias completas online. 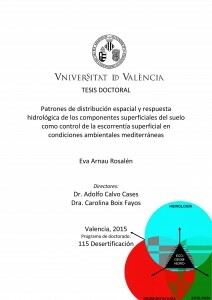 El 2 9 de Enero de 2016 tuvo lugar la lectura de la tesis doctoral de Eva Arnau Rosalén con el título “Patrones de distribución espacial y respuesta hidrológica de los componentes superficiales del suelo como control de la escorrentía superficial en condiciones ambientales mediterráneas” en la Universidad de Valencia, los directores han sido el Dr. Adolfo Calvo Cases del Departamento de Geografía de la Universidad de Valencia y la Dra. 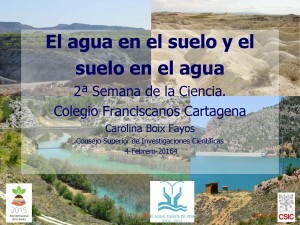 Carolina Boix Fayos del grupo de Erosión y Conservación de Suelos y Aguas del CEBAS-CSIC. En el tribunal estuvieron presentes: el Dr. Juan Sánchez (Catedrático de Edafología, Universidad de Valencia), la Dra. María Martínez-Mena (investigadora del CEBAS-CSIC) y la Dra. 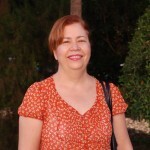 Yolanda Cantón (Profesora titular de la Universidad de Almería). Figura: Ejemplo de la salida del modelo de simulación de escorrentía a escala de ladera desarrollado en la tesis de Arnau Rosalén (2016) teniendo en cuenta los componentes superficiales del suelo. En la figura aparecen la simulación en tres laderas diferentes y los distintos umbrales a la saturación y conectividad hidrológica de las laderas. Written on December 11th, 2015 October 24th, 2016 . (i) Caracterización y cuantificación del carbono orgánico transportado en suspensión y disolución en cuencas semiáridas de funcionamiento hidrológico intermitente y bajo distintas condiciones ambientales. (ii) Caracterización y cuantificación del carbono orgánico en sumideros fluviales (llanuras y barras fluviales, lecho fluvial, deltas y embalses) con interpretación de procesos desde una perspectiva eco-geomorfológica. 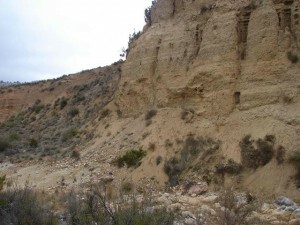 (iii) Caracterización de los procesos de estabilización y mineralización de carbono orgánico en distintos depósitos sedimentarios dentro del sistema cuenca. (iv) Estimación del balance de carbono orgánico en cuencas de drenaje bajo distintos escenarios de cambio en la dinámica hidrológica y sedimentaria. Interesado/as contactad con: cboix@cebas.csci.es (Carolina); ediazpereira@cebas.csic.es (Elvira); mmena@cebas.csic.es (María) y enviadnos vuestro CV antes del 14 de Diciembre. Haber finalizado los estudios de grado o licenciado después del 1 de enero de 2012. Estar matriculado en un programa de doctorado en el curso 2016-2017. O acreditar que posee título de master o estar matriculado en el curso 2015-2016 en un master universitario oficial que de acceso a un programa de doctorado en el curso 2016-17. Written on September 23rd, 2015 October 24th, 2016 . El año 2015 fue declarado como AÑO INTERNACIONAL DE LOS SUELOS por las Naciones Unidas (ONU). La Sociedad Española de la Ciencia del Suelo (SECS) se ha querido sumar con el Proyecto SECS2015, a esta iniciativa y aprovechar tal circunstancia para fomentar la concienciación y la comprensión de la importancia del suelo para la seguridad alimentaria y las funciones ecosistémicas esenciales, a través de una exposición itinerante titulada Los Suelos y la Biodiversidad Forestal. Se pretende, a través de 12 paneles (12 meses del año), mostrar ejemplos de nuestra riqueza edafológica forestal y la importancia que tienen para nuestra sociedad. Estará situada en el hall del CEBAS de 12-23 de octubre de 2015. Written on July 2nd, 2015 October 24th, 2016 . Maiby Y. Pérez Darniz is an agronomist from the ‘Instituto de Ingeniería Agrícola, Facultad de Agronomía, Universidad Central de Venezuela’, Maracay, Aragua. She is professor in the department of agricultural mechanization and machinery for the agricultural production of pre and postgraduate studies since 1996. Her research focuses on physical and mechanical properties of the soil, tillage systems, interaction soil – machine, and indicators of soil physical quality postharvest. She will stay at our group between May and August 2015. 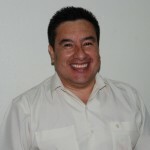 Francisco Bautista Zúñiga, biologist (PhD in biology, ecology and environmental sciences), working at the CIGA (Centro de Investigaciones en Geografía Ambiental), de la UNAM (Universidad Nacional Autónoma de México), Morelia, Michoacán. He is professor since 1988, currently in Geo-pedology, formerly in environmental impact, soil science, ecology and environmental sciences. He performs research on evaluation of land and planning in rural and urban environments, the soil magnetic properties and their applications: pollution, classification, mapping and use of fire in agriculture. He will stay at our group from April 2015 until February 2016. Written on June 18th, 2015 . A new paper was published by our group on soil organic carbon dynamics following afforestation of semiarid shrublands. 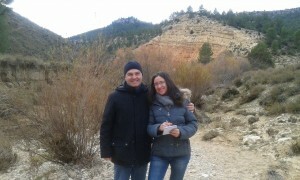 Afforestation with Pinus halepensis promoted soil C sequestration. Afforestation led to long-term changes in fungal but not in bacterial populations. Changes in soil C pools and fungal taxa increased soil aggregation and C stocks. Soil organic carbon was stabilized in microaggregates whithin macroaggregates. 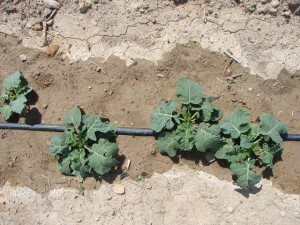 Physical-chemical stabilization of OC is a key aspect to maintaining soil C stocks. The paper will freely available for 50 days from here. Written on June 11th, 2015 . From 6-10 July 2015, the SOGLO project organizes an interesting summer school that will provide young scientists with an overview of the novel techniques that contribute to the quantification of weathering rates and cycling of major elements such as C and Si in the soil system. 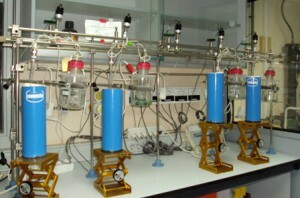 Hands-on experience will allow young researchers to gain skills in these analytical techniques. For more details on the program, instructors and presenters click here. Written on April 17th, 2015 May 26th, 2015 . The Royal Netherlands Academy of Arts and Sciences invited Nacho Querejeta to present a lecture during the Academy Colloquium: “Climate models revisited: the biogeochemical consequences of mycorrhizal dynamics”. 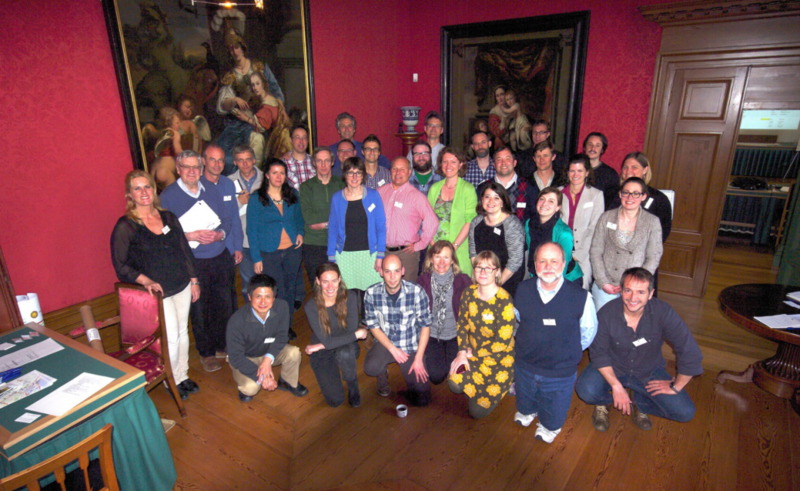 The colloquium was held in Amsterdam, 8-10 April 2015, and was organized by Dr K Rebel (Utrecht University), Prof M van der Heijden (Agroscope, Switzerland) and Dr R Phillips (Indiana University). The venue for the colloquium was the seat of the Academy, the 17th century “Trippenhuis” in the centre of Amsterdam. Participation in the colloquium was by invitation only and was limited to 30 invited scholars, of which twelve were invited speakers. The title of Dr. Querejeta’s lecture was “Mycorrhizal mediation of plant responses to forecasted climate change in a Mediterranean semiarid shrubland”. Written on November 24th, 2014 March 30th, 2015 . A new paper published by members of our group discusses the influence of catchment morphology, lithology and land use on soil organic carbon export in a Mediterranean mountain region. Lithology and morphometric factors control total Carbon export through soil erosion. Large forest cover leads to higher Carbon concentration in sediments but not to higher Carbon export. 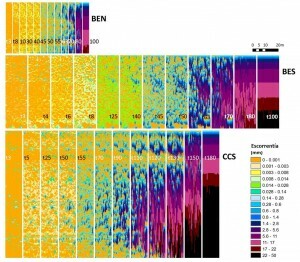 Morphometric factors are associated with higher variability of Carbon concentration in sediments.